NMC students pocketed an extra $137,000 this semester thanks to instructors using free and low-cost textbooks. 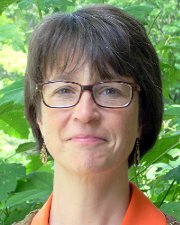 Led by Osterlin Library director Tina Ulrich, NMC is piloting an experiment in Open Educational Resources this semester. Ten instructors were selected to receive a stipend of either $500 or an iPad — provided by an NMC Foundation innovation grant — as an incentive to redesign their courses using free textbooks and other resources, often found online. In the process, Ulrich discovered other instructors already using OERs or low-cost textbooks. In total, NMC has 17 instructors she calls “textbook heroes” teaching 880 students in subjects ranging from math to English to history to social work. The hero label is no exaggeration for students in Brian Sweeney’s physics class, who each saved $198 thanks to his choice of an OER. “I wouldn’t have bought it,” physics student Eli Seal, 31, said of the $198 textbook. Pre-med student Alyson Bunker of Gaylord calls textbook prices “ridiculous.” One online book cost her $110, she said. “It’s extortion,” said student Tripp Coleman, 25, of Traverse City. He’s attending school on the GI bill and has a book allowance of only $509 per semester. That’s barely two-thirds of the $750 NMC recommends students budget, which amounts to 15 percent of tuition costs, Ulrich said. Students said prices for online books and book rentals are still inflated and rigged with late fees, and end-of-semester book buy backs don’t offer enough return. Many said they like the online nature of OERs like the one Sweeney chose, which can easily be searched for specific content and linked to supplementary material. “My course is organized better than ever and the students like the extra videos and interactive supplements for the class,” said math instructor Deb Menchaca. Students who prefer printed materials can download and print OER materials, Ulrich noted. Besides the cost savings, instructors said going off-book allowed them to reinvigorate their courses with newer material. “Our computers are outdated as soon as we buy them. 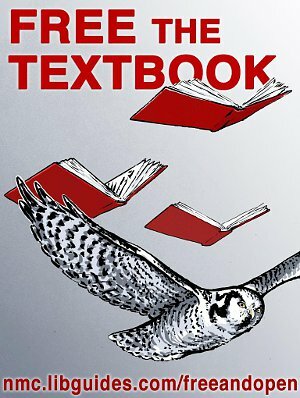 Our textbooks are, too,” said social work instructor Lisa Blackford. Now she’s consciously choosing materials as varied as TED talks and podcasts and believes students are more engaged. Sociology instructor Brandon Everest agreed. He uses a $30 textbook published through OpenStax College, a nonprofit initiative of Rice University. The book’s content is not as thorough as the one he previously used, but that creates an opportunity to customize the course. “It is more skeletal, so we were allowed to hang the flesh wherever we saw fit,” he said. In terms of student performance, most instructors said students did as well or better on tests as they did with traditional textbooks. Sweeney said every test and lab score is better this fall. The pilot project also aligns NMC with national trends. Earlier this month two U.S. senators introduced the Affordable College Textbook Act, which would expand the use of OERs.